Serving Tray for Geneva Ale & Porter from Frank X. Schwab Company out of Buffalo, New York. 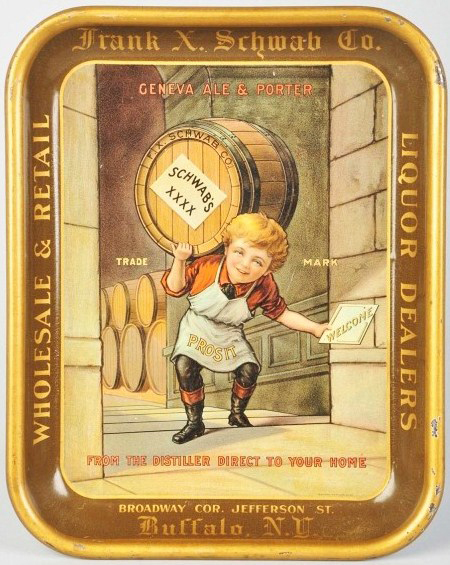 The central figure is a young man lifting a barrel of the company’s ale marked Schwab’s XXXX. Text under figure states From The Distiller Direct To Your Home. Text along the border states Wholesale & Retail, Liquor Dealers. and bottom is Broadway Cor. Jefferson St.